The hotel Pullman Cannes Mandelieu, located next to the Bay of Cannes, benefits from a beachfront location. With the recently renovated Pullman Royal Casino, this modern hotel provides entertainment and comfort to any seasoned traveller with 213 rooms. Terraces are also available with some overlooking the Lerin Islands and the Mediterranean Sea. For business travels, the Pullman hotel offers up to 1500 sqm of modular space for conventions. Amenities include a private beach, pool and tennis courts. Our 213 spacious rooms and suites all have either a sea view or overlook the golf course, with private terrace. All feature 16/9 plasma screen TV. I enjoyed the stay in the hotel very much. I felt very comfortable in the room, and the view and balcony are outstanding. It was very good. Nice to be welcomed back. Roxane on reception (new member of staff we understand) was very helpful. We were made to feel very welcome as soon as we arrived. Very pleased with the room and location. Rooms are fairly sized, with plenty of space; however, the standard room is with &quot;golf views&quot; or &quot;mountain views&quot; and the isolation is extremely poor, which is a shame in such a hotel. So the noise is guaranteed. Facilities are pretty good, but overall quality-value I do not think it is correctly balance. Additionally, make sure your breakfast is included or you would pay an additional 25€ per day. From the greeting by the delightful lady that checked us in, through to the courteous and thorough cleaning staff our stay was excellent. Thank you. As usual good and comfy room with large bed. Nice breakfast with sea views. I have stayed at the Pullman often as I have business nearby and have always found it consistently excellent. The rooms are large and well appointed, the bathroom facilities are excellent, the staff is pleasant and efficient - what more could one ask. Fantastic, Friendly Staff, Great Location, Very enjoyable break. Good experience overall. I regret the long waiting times in the restaurant, specially when I am travelling alone. A very nice hotel just by the sea. Thge beds are excellent and the rooms are spacious. I do also like to have the opportunity to sit on a terrace. There is a Casino on the lower ground floor so if you want to do some playing the opportunity is not far away. This is a wonderful seaside hotel. The service is excellent and the breakfast is good. However, the rooms need to be remodeled. There is a lot of noticeable wear and tear. 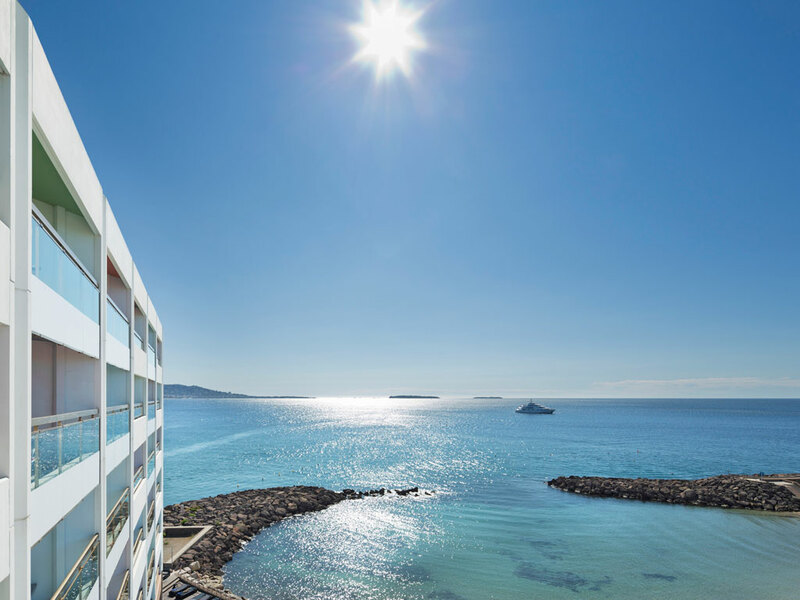 Well positioned hotel on the beach with beautiful views over the sea, Cannes and the islands. Comfortable well cleaned and decorated rooms. The breakfast was good and varied. All of the staff were helpful, friendly and efficient.